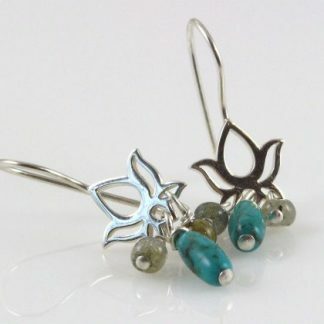 These Lotus & Labradorite Earrings are the perfect design for those who, like me, love the lotus flower. 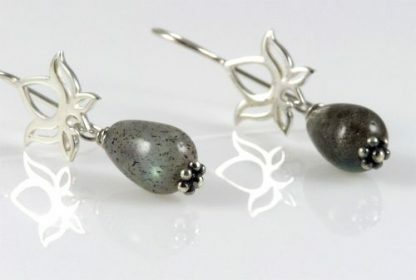 They have been designed with Sterling Silver Lotus hooks, Sterling Silver flower headpins, and 7 x 10 mm Labradorite dangling teardrops. 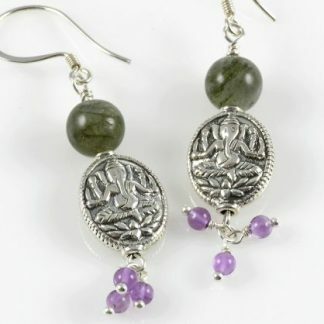 Total length of earrings is 1-1/2 inches. The Lotus flower is a symbol of purity of body and mind in Eastern cultures, because the Lotus grows in muddy waters and yet remains clean and pure. Very popular amongst yoga practitioners! 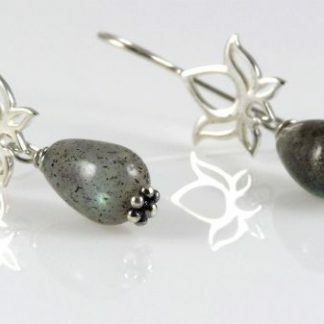 Labradorite is a highly mystical gemstone with high protective powers. 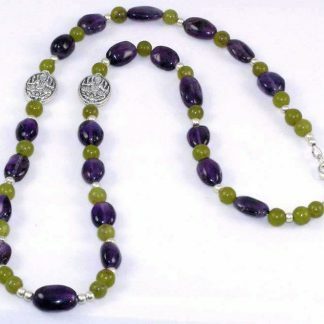 It enhances consciousness and deflects negative energies while it grounds spiritual energies into your body. It also stimulates psychic abilities and intuition.